Prior to the wedding we had several meetings with Michael in which we discussed our ceremony. He gave us helpful advice and creative ideas but also listened to our suggestions and together we were able to create a very personal ceremony. 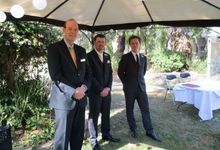 Michael is a very professional, friendly, understanding and down to earth person and it was a pleasure to have him as our celebrant. 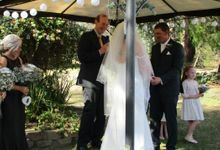 During the ceremony he managed to keep a good balance of professionalism and being humorous at the appropriate times and was able to create a joyful and relaxed atmosphere. Michael was very easy to work with and we would highly recommend him! 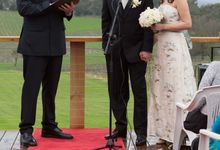 Because of the legal requirement to give notice of marriage in Australia, a minimum of one calendar month is required from the time of signing the documents. 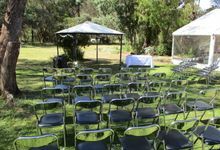 However, if you are traveling to Australia to be married, usually more time is required to have the documents finalised beforehand, although this can be arranged in your own country and later certified by the celebrant. The first step is to check my availability and we can take it from there. 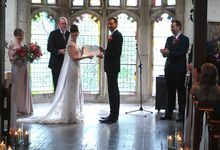 I specialise in helping international couples with their wedding plans as I have traveled far and wide and lived overseas for long periods. 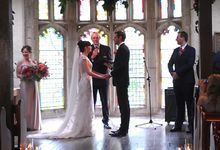 Each wedding usually involves 12 to 15 hours of work in meetings, emails, ceremony design, music compiling, rehearsal and legal submissions. The total price of A$560 equates to about $40 per hour. 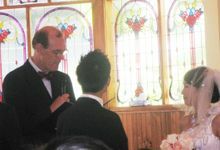 In 2001, I became an authorized marriage celebrant appointed by the Australian Attorney General. I have been a marriage celebrant ever since. Hello. I'm Michael Treacy and I am an Australian authorised legal marriage celebrant. If you are thinking to marry and have your honeymoon in Australia, I can help you with all the legal forms to have your marriage registered here. 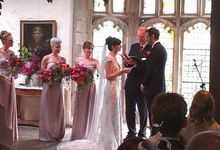 I am able to create just the right type of ceremony to suite your occasion, and I specialise in Christian, Interfaith and dignified wedding ceremonies. More information is on my website: aussiemarriages.com Wishing you love and happiness in your new life as a couple!